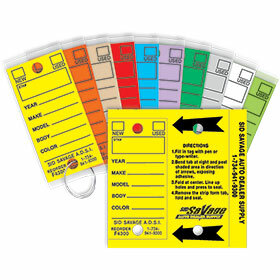 Our Custom Imprinted Gasoline Requisition Book controls gasoline expenses to the penny! This book style form has three carbonless copies; original to the vendor, second copy for accounting, and the third copy in the book for control. Each form is sequentially numbered for absolute control. 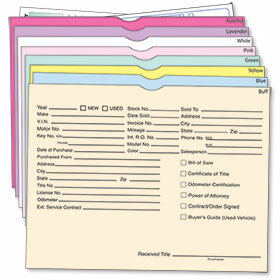 3-part carbonless forms are 5 ½" X 5 ½", with 25 forms per book. Enter up to 4 lines with your custom information to be imprinted in red ink at the top of the form. Your order will ship in 7-10 business days. Minimum order of 10 books is required. 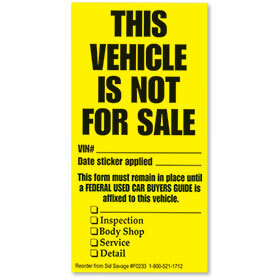 Price includes one imprint, with no changes in copy. Changes in copy are considered separate orders, and cannot be combined for quantity discounts. 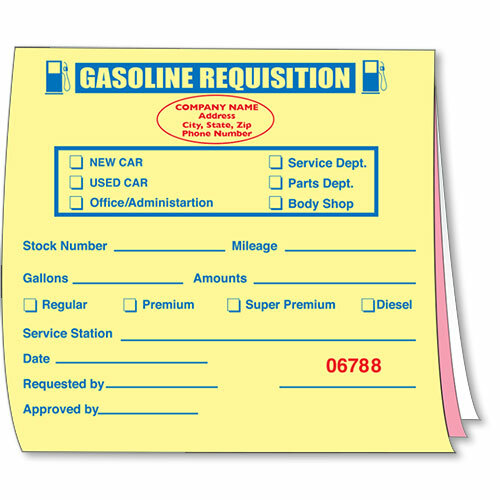 Gasoline Requisition Books without custom imprinting are sold separately as 1300156. Book is 5 ½" x 5 ½"